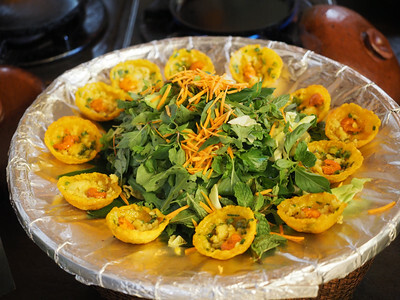 Every single person should absolutely, positively, without a doubt, do a cooking class in Hoi An. 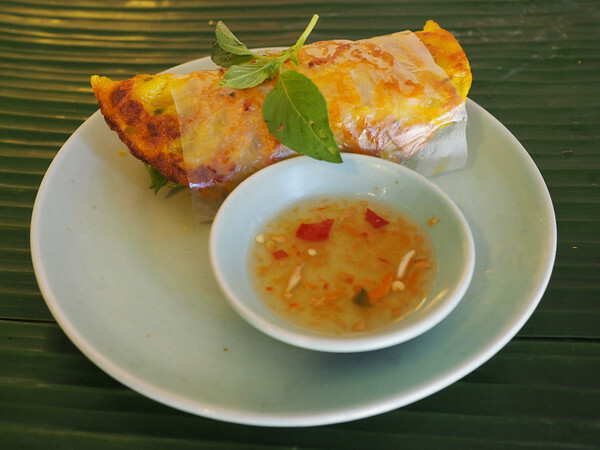 Because, in allllll my travels across Vietnam, I never ate better food than what I ate in Hoi An. Need more convincing? Then read on. 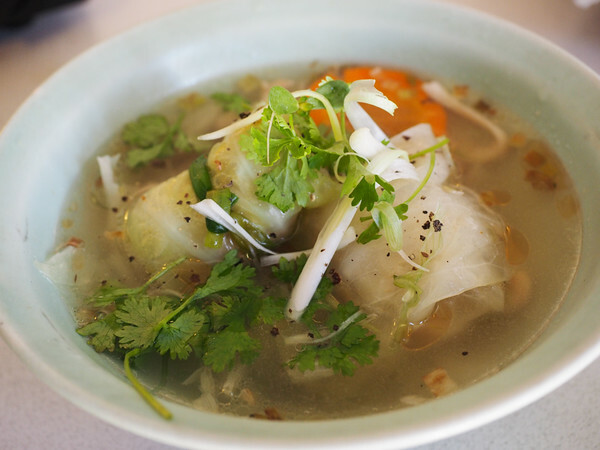 There’s about a million different cooking schools dotted around this amazing city, so you’re ripe with choice. 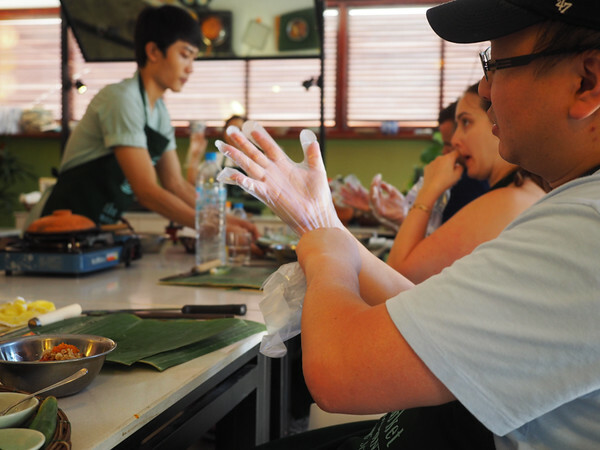 Full disclosure – I went with Taste Vietnam (the Morning Glory cooking class). I think ultimately this one was a little more expensive, but the reviews were good, the owner runs a number of the most popular restaurants in town (like Morning Glory), and I was quickly running out of time to book something. I ended up paying 666,000 VND (about $40 AUD). It was worth every cent. 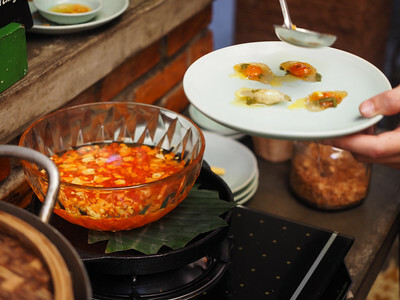 Around 8am I found myself riding (as is my norm around Vietnam now) across to the popular night spot of Minh An, where the cooking class would be taking place. 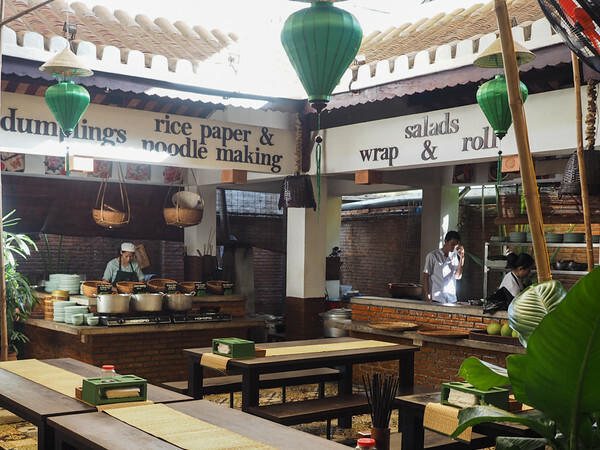 I walked into the open ground floor of Vy’s Market Restaurant as chef’s were already beginning to prepare their various “street food” counters which lined the walls. I was sat down, a cup of steaming hot tea placed in front of me, and was told to wait. Gradually more keen budding chefs arrived, and eventually, after being given the option to don a typical Vietnamese conical hat, we ventured out towards the local market. We travelled the short distance via a boat down the river, and got back on land mere metres from the market. 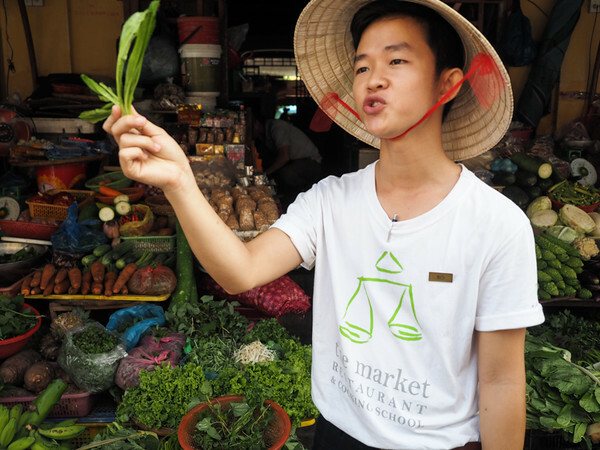 After our guide regaled us with somewhat unnecessary detail of (what seemed) every herb, fruit and vegetable that is typically used in Vietnamese cuisine, we wandered through the narrow aisles, across the inch-thick water near the fish sales and back onto the boat. We were ready to begin cooking. But, it wasn’t time to start yet! 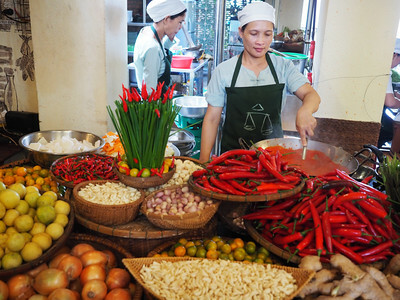 We wandered back into the Market Restaurant to the bustling sounds and smells of cooking well underway. The various street food counters were stocked up with food, and they were ready to see to it that we all needed to take our belts out a notch. Starting with the much loved Bahn Mi, we were shown just how the bread is made, and then given a small serve to taste (thought even went into giving me a chicken version given my aversion to most meats). 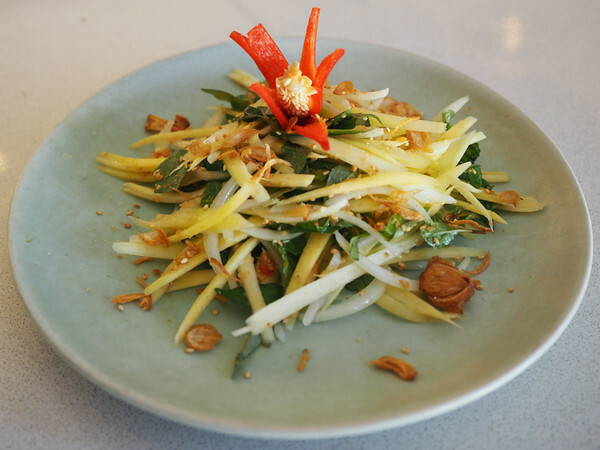 We continued on, wandering by all the various counters, stopping at each one and witnessing the chef at work, receiving a tasting of most forms of street food often found across Vietnam. At least, that was until we got to the less appetising “pig ear salad”, “spicy lemongrass frog”, “spicy tiny snails” and “duck egg embryo”. With stomachs already full, we were then guided upstairs, into a small private room set up specifically for the purpose of teaching students how to cook. Our teacher (and her helpers), full of enthusiasm and with a mirror above her so we wouldn’t miss a thing, got straight into things. With jokes abound, she guided us expertly through the cooking process (occasionally just showing us how something is made when it would take too long to prepare ourselves). Ultimately, we made a total of four (delicious) dishes. And not pictured – because I ate it before it even got a chance to pose – is the muy delicious BBQ chicken and lime leaf skewers. Yum! 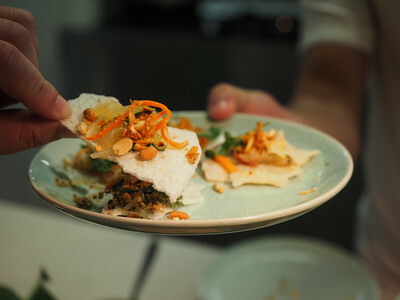 Each dish was eaten on the spot, with no morsel of food left on our plates.